St Benedicts - Modern Languages Tour de Force! 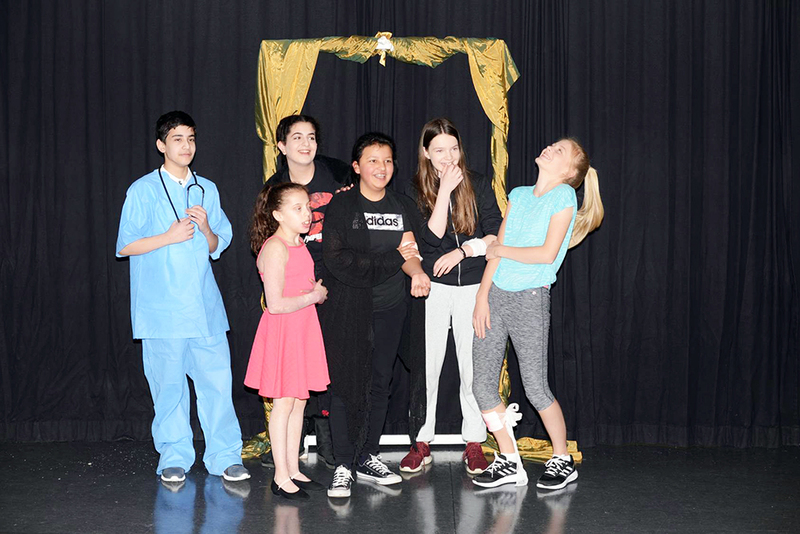 Linguafest was a celebration of modern languages, through music, drama, dance and literature, performed by pupils from Upper Prep (Year 4) to the Sixth Form. 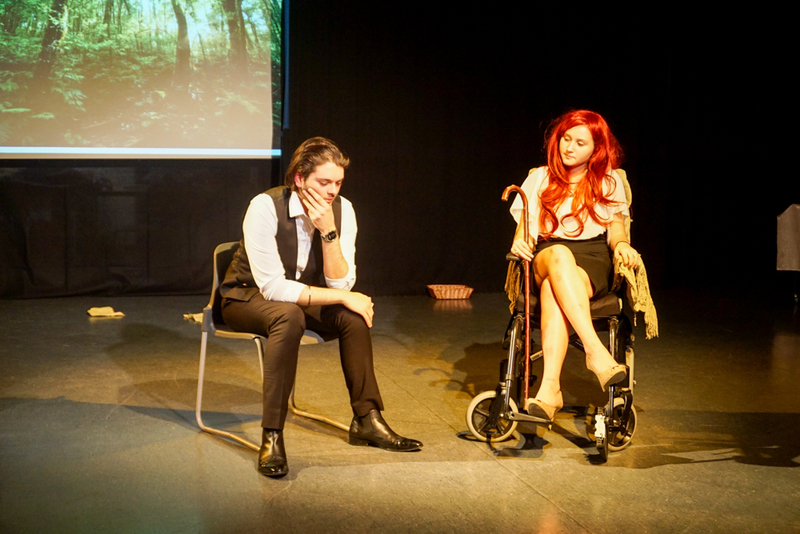 St Benedict’s has a long tradition of modern languages’ plays and performances, bringing pupils’ language learning to life. Recent performances have included Lorca’s Bodas de Sangre, Molière’s Le Malade Imaginaire and, earlier this year, Dürrenmatt’s Der Besuch der alten Dame. Linguafest followed in that tradition, giving linguists aged 11 to 18 a chance to use their skills before an audience. 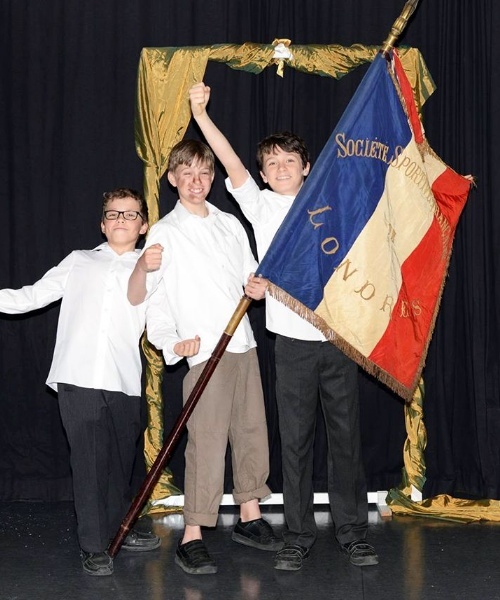 The evening began with French, and a rousing performance from Form 3 (Year 7) of A la volonté du peuple from Les Misérables – sung with great gusto. Two surrealist sketches followed : Chez le Medécin, from Lower 4 (Year 8) and Dans le train, performed by the Upper 4 (Year 9). Sixth form linguists then performed an extract from Veber’s crazy Le Diner des Cons. Pupils in Lower 5 (Year 10) gave polished performances Le Corbeau et Le Renard and La Cygale et La Fourmi by Jean de La Fontaine, and Form 3 (Year 7) recited La Fourmi by Robert Desnos. A wonderful performance of Charles Trenet’s La Mer - given by Lower 4 (Year 8) - brought the first half of Linguafest to a close. The beautiful costumes, singing, dancing, and even gymnastics, transported everyone to the south of France. 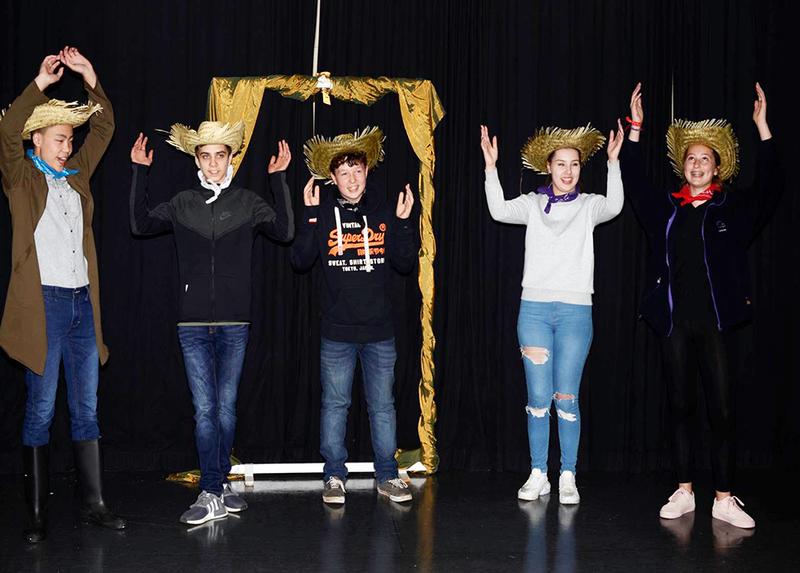 Spanish was next, with a moving performance of Federico Garcia Lorca’s poem Llanto por Ignacio Sanches Mejia – a lament to a dead bullfighter – from Lower 4 (Year 8), contrasting with an extract from his powerful play Bodas de Sangre, performed by A level hispanists. Next, a recital of the poem Ojala que llueva café en el campo by Juan Luis Guerra from Upper 4 (Year 9) lightened the mood, as did La Bamba (sung by Lower 5/Year 10) and a Sevillana dance to Ay que te como (Form 3 and Lower 4). Finally, it was Germany’s turn, beginning with an extract from Der Besuch der alten Dame by Friedrich Dürrenmatt, performed by A level students. Similarly dark was Goethe’s Erlkönig - a poem about a boy being haunted by a supernatural being. German scholars Matthew Barrett and Amar Bawa gave a short presentation about Schubert’s setting of the poem as a song, and its contrasting treatment by the 90s German heavy metal band, Rammstein - leaving the audience to decide which they preferred. A beautiful performance of Swan Lake further illustrated how German folk tales have inspired composers and choreographers, as a gaggle of Upper Prep (Year 4) swans, led by four senior school soloists, took to the stage. Finally, everyone sang along to 99 Red Balloons by Nena, as all the performers took a well deserved bow. Tessa Swarbrick-Ibarrola (Form 3) said: “I enjoyed taking part in Linguafest. I had never recited a poem in a foreign language before and at first it was strange. Then it was fun, as we gained confidence in our performance. I think it’s important to be able to speak languages as it will help you in the future if you can communicate with people in other countries. I speak Spanish and am learning French.